After graduating from the University of Pennsylvania, School of Dental Medicine in 1979 and completing his general practice residency at the same institution a year later, Dr. Grossman completed a two-year periodontal specialty program at the Boston University, School of Graduate Dentistry. 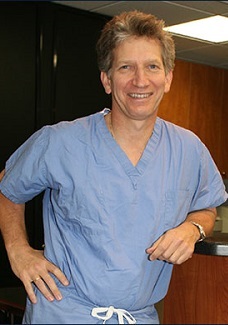 As a vested member in the specialist community, Dr. Grossman holds membership in the American Academy of Periodontology, Academy of Osseointegration (the study of dental implants), Massachusetts Periodontal Society, American Dental Association, the Massachusetts Dental Society, and the Emerson Dental Study Club. He also founded the Dental Collaborative for Implantology Study Club and has an affiliation with Emerson Hospital. If there is strength in numbers, the staff of hygienists in Dr. Grossman’s office is a powerful force. Three of Dr. Grossman's four hygienists have served on his staff for five years or more, with some having been practicing in his office since 1988. Dr. Grossman and his assistant Larisa have been working together since 1992. When you choose Dr. Grossman’s practice for periodontal treatment or dental implants, you are choosing a winning team.